Located in the heart of Abu Dhabi’s Reem Island, across from the cultural hub of Saadiyat Island, the development making scheduled progress towards its completion timeline of the fourth quarter of 2020. The renowned local engineering and contracting firm Dutch Foundation has completed all 938 secants of shoring. Alongside, 5 m of excavation work has also commenced within Pixel to accommodate two basements of approximately 22,000 sq m each, while piling works are set to be finished by February next year. As per the schedule, the tender for the main works of Makers District will be awarded in the first quarter of 2019 with the main contract currently targeted for completion by the end of 2020. Imkan CEO Walid El Hindi said: "We are truly proud of the progress being made on this project as we continue to work with the best in the industry. At Imkan, we are committed to achieving timely milestones across our portfolio and Pixel is no exception." 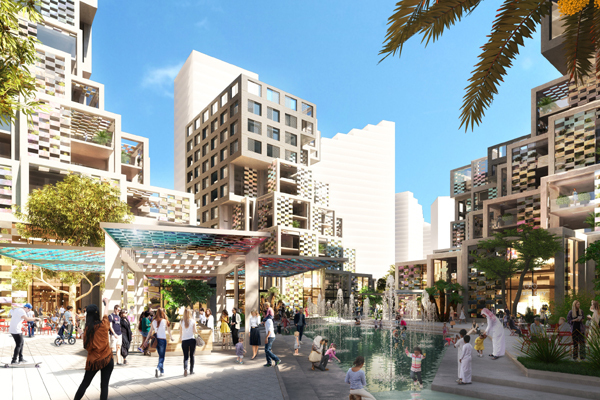 "The development validates our priority to enrich the UAE’s residential and commercial landscape through setting a new benchmark for community-living,"he stated. Richard Larmer, the senior development director of Imkan, said: "The quality of this development is already evident from the construction contracts being awarded to renowned specialists in our industry. We are committed to delivering the project as per the highest international standards, using the latest technology and construction methods." "I have no doubt that Pixel will help raise the bar for construction in the capital once it is complete," he added. According to a UN report, 60 per cent of all urban dwellers will be under the age of 18 by 2030 - an important factor in the planning of master developments like Pixel, which caters to buyers with a millennial mindset. The 18-hectare creative residential component of Makers District will transform urban living by providing residents the opportunity to be a part of a creative environment where innovation and interaction thrive, said the statement from Imkan. Pixel, featuring seven towers comprising apartments, co-working office spaces, as well as food and beverage and retail elements surrounded by water features, is set to change the property landscape in the city by infusing a sense of creativity and well-being into everyday living, it stated.